OFFSHORE: Siemens is carrying out essential maintenance work on four offshore wind farms, including the recently opened Gunfleet Sands, after it was discovered the turbines' bearings were corroding. The four wind farms all use Siemens’ 3.6MW turbines. In addition to Dong Energy’s Gunfleet Sands, the affected developments are: Burbo Bank (Dong), Rhyl Flats (RWE) and Lynn and Inner Dowsing (Centrica). Gunfleet Sands was only brought online last month. There are 181 turbines across all four wind farms. A Siemens spokeswoman said that during routine maintenance it had discovered the"protection" had failed for the hub bearings. Work to remedy the problem will take place over the coming weeks. In the meantime, Siemens said, all of the wind farms will continue to operate as normal. Siemens was unable to confirm whether it would be seeking damages from the respective suppliers. The work will be funded by Siemens, despite the company needing to hire a 7000-ton vessel to carry it out. 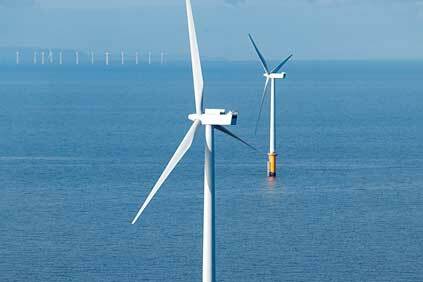 The Siemens 3.6MW wind turbine has been described by some wind developers as the ‘workhorse’ of offshore. Recently it was picked as the turbine of choice for Cape Wind’s 420MW development in Nantucket Bay.